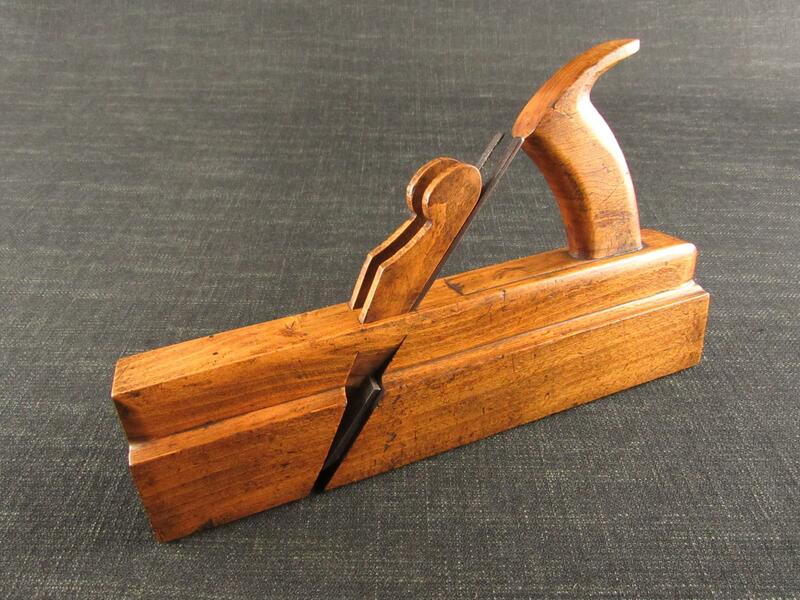 A cove and ovoloe profile wide moulding plane by GLEAVE of Manchester. Marked 'GLEAVE MANCHESTER' on the toe. Good length ASHTON blade iron and original wedge. Three old, treated and wax filled, worm exit holes. 27/16 inches overall width, 93/16 inches overall length.